Mystic Sound Records is happy to present Hollow Void, the debut mini-album of an extremely talented producer from Moscow, Rukirek (Igor Davydov). Three amazing tracks in the best traditions of psychedelic downtempo lead listeners into a pleasant journey through the boundless universe reflecting the author’s admiration for its wisdom and calmness. Soft breakbeats, enveloping atmospheres, and wonderful melodies are united into a single whole so organically that you might want to listen to this music non-stop! Mastered by Edward Cybered at Manifold Studio. Cover art for the album designed by Elena Ukolova. MP3 Download | FLAC Download | WAV Download · Download count: 8,633. This is more like it … Thanks! Beautiful sounds, especially the 2nd track. Попсово и скучно. Даже посуду мыть скучно было. WooW !! Absolutely stunning debut ‘album’. It really takes you on a sonic journey with sublime production techniques ! I signed up just to tell you how much I love this. I want more more more!! Great work! Great EP. Russians and the surrounding nations make my favourite style of psychedelic downtempo. 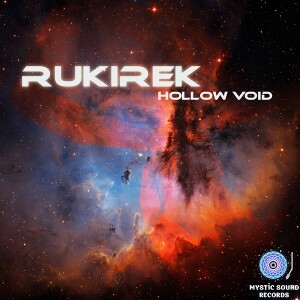 I’m happy to share that the debut album of Rukirek is just released on Mystic Sound Records.